Quantum Computing is one of the most interesting innovations happening in science today -- as ATCA 5000 has repeatedly pointed out -- and yet it is also one of the hardest to explain. The latest Nobel prize shows that "Quantum Computing" is not some esoteric mystical concept: it is extremely concrete. Earlier this week, Serge Haroche, a Frenchman, and David Wineland, an American, were awarded the Nobel Prize in Physics for their work in advancing our ability to control and observe individual quantum systems, opening the door to ultra-precise timekeeping and future "Quantum Computers" that could fundamentally change computing as we know it. Both men work in the field of quantum optics and they figure out ways to look at very small particles, like photons, and determine their quantum states. In layman's terms, the Nobel prize winning research has developed a way to manipulate photons and ions on an individual basis, giving quantum technology scientists the opportunity to research and to work with "objects" that seem to be in two places at once! "The Nobel laureates have opened the door to a new era of experimentation with quantum physics by demonstrating the direct observation of individual quantum particles without destroying them," states the Royal Swedish Academy of Sciences, which awarded them the Nobel prize. "Perhaps the quantum computer will change our everyday lives in this century in the same radical way as the classical computer did in the last century." "Both Laureates work in the field of quantum optics studying the fundamental interaction between light and matter, a field which has seen considerable progress since the mid-1980s. Their methods have many things in common. David Wineland traps electrically charged atoms, or ions, controlling and measuring them with light, or photons. Serge Haroche takes the opposite approach: he controls and measures trapped photons, or particles of light, by sending atoms through a trap," states one of the Nobel briefings on the two men's contributions to quantum physics. "Single particles are not easily isolated from their surrounding environment, and they lose their mysterious quantum properties as soon as they interact with the outside world," states the Nobel committee. "Through their ingenious laboratory methods Haroche and Wineland, together with their research groups, have managed to measure and control very fragile quantum states, which were previously thought inaccessible for direct observation. The new methods allow them to examine, control and count the particles." 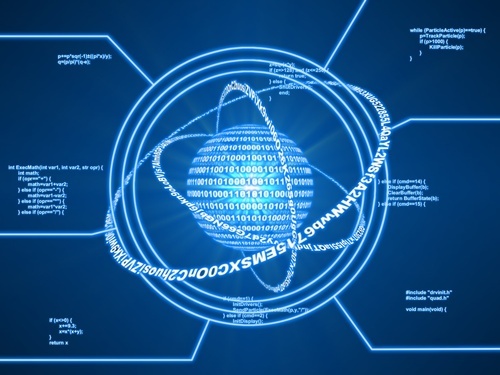 What Is Quantum Computing About? Quantum Computers can investigate every possible scenario at the exact same moment. A quantum computer built on a sub-nano scale might be able to solve problems that today’s computers cannot solve. The basic concept is to use the odd nature of the entangled "quantum bits" or qubits to build a Quantum Computer to perform computational tasks much faster and much more securely than is possible on digital classical computers that utilise silicon transistors and integrated chips. 2. Computing, which has been hitherto described in the context of Alan Turing's machine. If a working Quantum Computer can be built under practical conditions, it would thoroughly eclipse the power of current computers, the Nobel committee's briefing notes and further, "Two quantum bits can simultaneously take on four values — 00, 01, 10 and 11 — and each additional qubit doubles the amount of possible states. For n quantum bits there are 2^n [two to the power of n] possible states, and a quantum computer of only 300 qubits could hold 2^300 values simultaneously, more than the number of atoms in the universe." How amazing is that!